Last night Special Counsel Robert Mueller did something explosive when he ripped up his cooperating plea deal agreement with Paul Manafort, accusing Manafort of having lied to him. In effect, Mueller decided that he was no longer interested in Manafort’s cooperation at all. Palmer Report theorized last night that Mueller may have done this in order to take things public in a way that Acting Attorney General Matthew Whitaker couldn’t stop. This evening, incoming House Judiciary Committee Chair Jerry Nadler suggested more or less the same thing. Because Robert Mueller has told the judge that Paul Manafort lied to him, Mueller is now required to tell the judge about the specific things Manafort lied about. That means Mueller has to disclose – in a court filing due next week – all the secrets involved in Manafort’s deception. This filing will instantly become a matter of public record. So we’re about to see Mueller essentially leak everything. We don’t think this is an accident. Jerry Nadler appeared on MSNBC this evening and pointed out that because this is a court matter, Matthew Whitaker has no authority to stop Robert Mueller from making this Manafort filing. In other words, Mueller is about to begin showing the American people the criminal collusion evidence he has against Manafort, and by extension, against Trump. This is a fascinatingly clever way for Mueller to work around Whitaker. So Paul Manafort’s decision to lie to Robert Mueller has turned out to be quite the lucky break for Mueller, considering he needs to work around Whitaker. The leads to the question of whether luck had anything to do with it. Manafort is a serial liar. Mueller had to have known he’d catch Manafort in a number of lies when he decided to cut the plea deal with him. 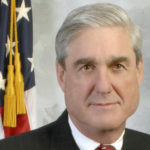 It feels like Mueller’s plan was to blow up the deal all along, thus allowing him to go public.